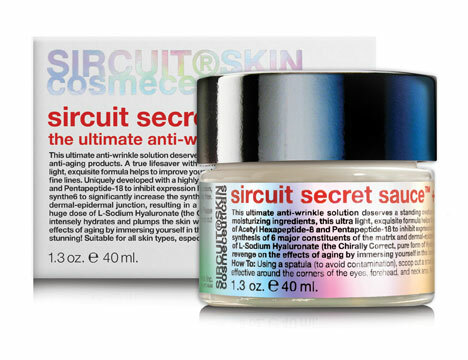 Sircuit Secret Sauce™+ ultimate anti-wrinkle solution deserves a standing ovation when it comes to effective anti-aging products. A true lifesaver with numerous moisturizing ingredients, this ultra-light, exquisite formula helps to improve your skin's texture by helping to smooth the skin surface as a way of providing anti-aging benefits and supporting radiant, younger-looking skin. Uniquely developed with a highly effective combination of powerful peptides, this seductive treatment helps to diminish the look of fine lines and wrinkles. Combined with the Chirally Correct, pure form of Hyaluronic Acid, L-Sodium Hyaluronate intensely hydrates and infuses the skin with luxurious moisture. Exact some revenge on the visible effects of aging by immersing yourself in this beautiful formula that will leave you feeling confidant and glowing! Yes ... we did this product right! Yummm ... mama wants it! Helping to smooth the skin surface. Helps to improve skin's texture and tone. 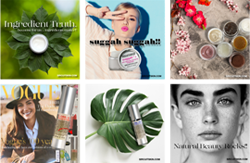 Skin Type: Suitable for all skin types, especially aging and/or dehydrated skin. How To: Using a spatula (to avoid contamination), scoop out a small amount onto your ring finger and apply in upward motions over cleansed skin. Especially effective around the corners of the eyes, forehead, and neck area. May be applied both morning and night. Follow with Dreamweaver™+ or Cloud 9™+ for superior moisture and as part of your daily home treatment program. Shake well before use. Cetearyl Olivate/Sorbitan Olivate: This complex combination of fatty acids mimics sebum and helps support the optimal integrity of the skin’s barrier function to keep the skin feeling soft and smooth. Leuphasyl® (Pentapeptide-18): A penta-peptide that helps to promote anti-aging benefits such as a reduction in the appearance of facial lines especially around the eyes, forehead and mouth which can help to improve the existing skin quality and overall appearance. Argirilene® (Acetyl Hexapeptide-8): A neuropeptide with skin- smoothing and moisturizing qualities that promotes anti-aging benefits such as a reduction in the appearance of facial lines especially around the eyes, forehead and mouth region improving existing skin quality and appearance. Formulated With: Aqua (Water), Caprylic/Capric Triglyceride, Glycerin, Butyrospermum Parkii (Shea) Butter, Cetearyl Olivate, Sorbitan Olivate, Squalane, Lonicera Caprifolium (Honeysuckle) Flower Extract, Lonicera Japonica (Honeysuckle) Flower Extract, Hamamelis Virginiana (Witch Hazel) Water, Helianthus Annuus (Sunflower) Seed Oil, Palmitoyl Tripeptide-38, Pentapeptide-18, Sodium Hyaluronate (L), Tocopherol (D-alpha), Gluconolactone, Caprylyl Glycol, Xanthan Gum, Hydroxypropyl Cyclodextrin, Acetyl Hexapeptide-8, Citric Acid, Alcohol Denat., Sorbic Acid, Potassium Sorbate, Phenoxyethanol, Sodium Benzoate. *USDA Certified Organic | NOP. Phthalate-free.